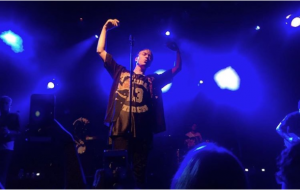 The Drums solidified their ever-growing support system in Los Angeles this past Saturday night, with the New York-based band playing to a sold-out crowd at the El Rey Theatre. The performance was in anticipation of their fourth studio album, which will give devoted fans the band’s newest product after a lengthy wait since their 2014 release of Encyclopedia. The Drums are an indie pop band based in New York that have amassed a cult following of teenagers and young adults impassioned by their upbeat, rock-inspired sound. The group has had a precarious history; their third album was conceived despite creative differences and the departure of member Connor Hanwick. In spite of their rocky past, the band’s fanbase continues to be solid, as tickets for their LA show quickly sold out after being distributed only two weeks before the show. A line even formed outside the venue hours before the 8:00 PM opening time. Queued outside during the lengthy wait was a diverse group of adolescents. 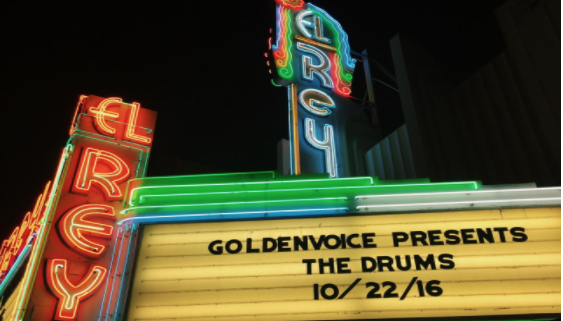 In a city as ethnically varied as LA, The Drums have built a fanbase with a strong Latinx presence that has expanded beyond the community, illustrated by fan support on previous tours in Mexico, Argentina, and other Latin American countries. The many identities encompassed among fans on Saturday night allowed me to reflect about how the band’s lively music provides a blind form of self-expression through which alternative music fans can transcend the limits of social borders by simply enjoying live music among equals. After the long line of fans filled the theatre, 9:00 PM struck and the opening act, Froth, hit the stage, performing their shoegazing songs to a group seemingly unfamiliar with their work. Nonetheless, their short performance was an endearing and easygoing beginning to what would become an amped night. As the lights of the El Rey Theatre dimmed and the crimson red curtains were drawn once more, fans heard the familiar synth melodies of “I Can’t Pretend.” The mellow song created a relaxed atmosphere that would endure for only a couple of minutes, since the band’s long-awaited presence quickly revved up the crowd as they moved along their set. Fans’ long wait time was certainly worth the effort, as the band later performed crowd favorites, like “Days” and “Money,” while also playing more recent content, like “Kiss Me Again.” Getting knocked down or smacked by a crowd surfer was not uncommon during the popular songs, as it seemed like the entire venue echoed every lyric back to the five-piece ensemble. About halfway through The Drums’s hour-and-a-half-long set, the band played a single off their upcoming album. Lead singer Jonny Pierce introduced the song during the show by saying he was “a little nervous about releasing it,” but the crowd’s generosity had “tamed all [his] fears” about releasing the project. While fans in the venue were listening to the song for the first time, people danced along with the same passion that had been eluded throughout their entire set-list. After playing their aforementioned new song, the band disappeared one by one, and came out following the crowd’s clamor for “one more song.” Energy remained high with the returned anticipation of the band’s stage presence, and The Drums returned to the stage. Fittingly, the group ended their performance with “How It Ended,” a song in which Pierce reminisces about a lost relationship but assures the subject of his continual support. The song surely served as a mouthpiece for the band, as the line “I’ll always be right here” reiterates how the band’s once uncertain past has transformed into a promising future. The group’s well-lived set proved their presence to be stronger than it has ever been. 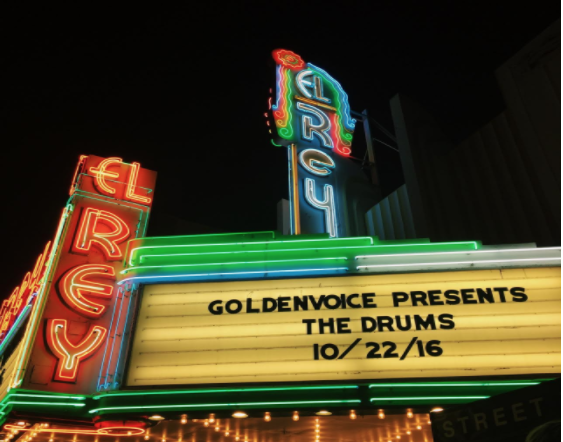 With the release of their fourth album, a loyal fan base, and enthusiasm like that illustrated on Saturday night at the El Rey, The Drums are sure to have an enthralling 2017. I was at that show! Great band!